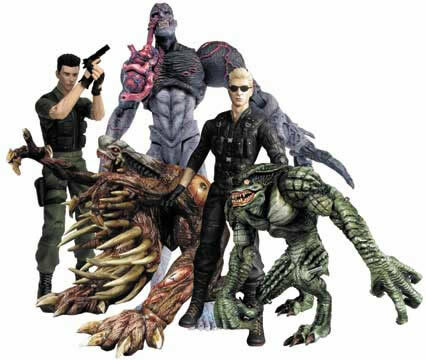 Shopping for Resident Evil Action Figures? Chris Redfield figure includes: SPAS 12 shotgun, shell case, M79 grenade launcher, grenades, Glock 17, 2 Ingram .38 caliber machine guns. Wesker figure includes sunglasses head.